Most Disney characters have specific locations where they meet guests. However, often times you can see them walking through the parks on the way to their meet-and-greet spots. 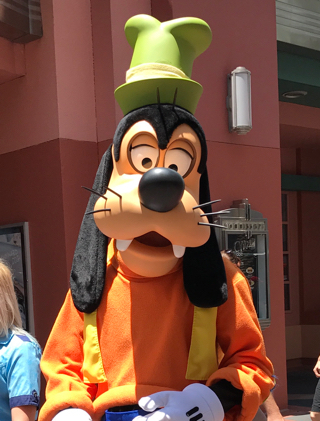 I took this shot of Goofy near the ABC Commissary in Hollywood Studios.